"Shomberg's Celebrate The Season" Litter Is Born! -- Piper & Draco 2017! Read more about this litter here. To see photos, and details, please click here. 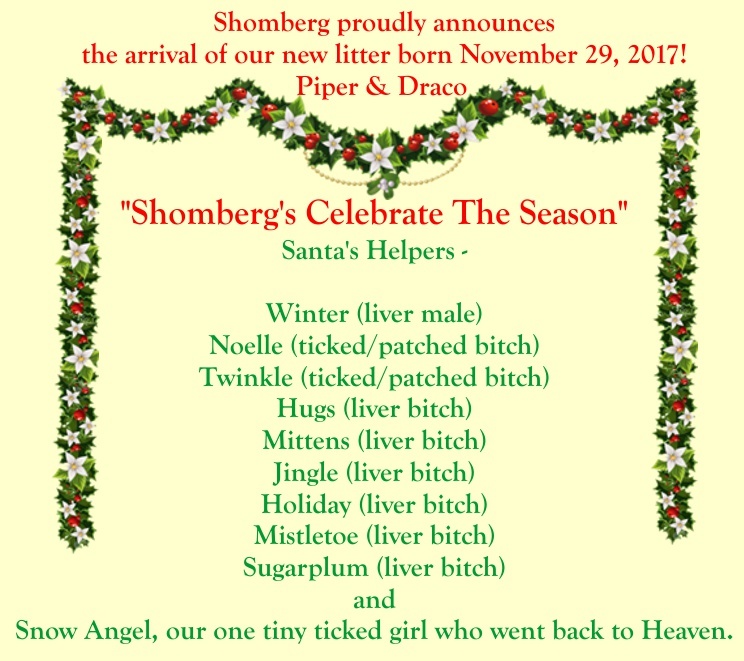 Litter Announcement for Lily & Cowboy!